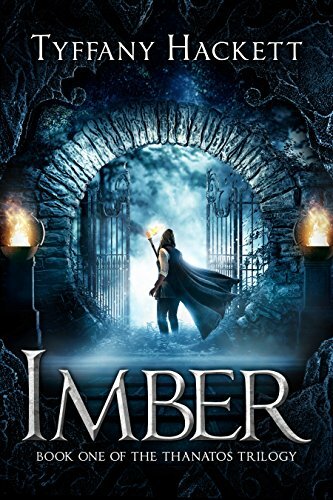 Imber follows a young queen on a deadly journey to save her kingdom from an ancient enemy. What was the inspiration for the setup to this exciting novel? Honestly I’ve always been a huge fan of epic fantasy; huge, sweeping books that pulled you into another world, or games that let you have powers and forge bonds. Larger than life enemies, heroes that don’t always win. I grew up on JRR Tolkien, Garth Nix, Julian May, and JK Rowling. I’ve poured hours and hours into the Dragon Age and Elder Scrolls games, and more still into Dungeons and Dragons sessions. So when I started writing I leaned into that. I followed the magic. And while I still have a lot to learn from those greats, I knew going in that I really wanted Imber to encompass what I love about fantasy–the trials, the adventures, the magic, the friendship. Natylia is an intriguing character that I enjoyed following. What were some driving ideals behind her character? With all of my characters I stick very firmly to the ideal “write what you know.” Who was I at 19? I was young, and impulsive, and made mistakes. So what would I have done thrust into a spotlight I wasn’t quite ready for? I would have been young, and impulsive, and made mistakes–mistakes I would later learn great lessons from. I’ve always loved flawed heroes, because they felt more real to me, and I wanted Natylia to feel as close to a living person as one could living inside pages. The novel has a rich backstory that I hope to see more of. What were some themes you wanted to explore in this book? I think there’s a lot of conversations that aren’t being had in our real, living world, and I tried to weave some of those into my world building. I’m all for a story with a message, and I tried to throw in a few that were important to me. Natylia has panic attacks because of crowds, and because that’s what felt natural to me; but mental health isn’t often addressed in fiction and when it is, often it’s in a harmful or inconsistent way. I also wanted younger readers, since Imber is YA, to be reminded that they will be underestimated, and they will make mistakes, but that they can move forward from them. I wanted to reinforce the idea that sometimes family isn’t blood, but the people in your life who love and support you. Specifically, Natylia’s relationship with Jyn. They’re really important to me because I think strictly platonic male-female relationships are almost nonexistent in literature, and they shouldn’t hold the strange taboo that society puts on them, but also because when Jyn had no one else he still had Natylia. Those kind of friendships are rare and should be cherished. This is book one in your Thanatos Trilogy, where will book two pickup and when will it be available? Book two will pick up two to three weeks after the end of Imber, and it will be available Fall 2019. Right now I’m aiming for a late September/early October release. 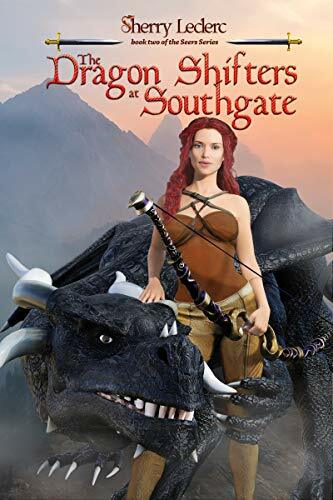 Crowned before her time, nineteen-year-old Natylia is thrust into an unpleasant reality–her people don’t want her, her family doesn’t need her and,despite her best efforts, she can’t seem to shake an incorrigible suitor. 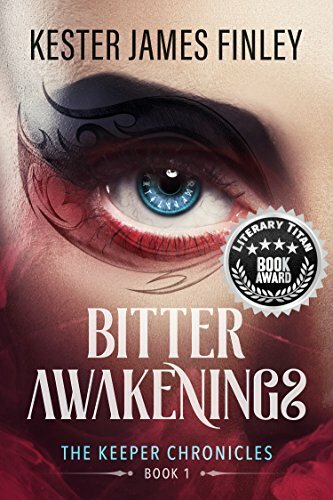 But when rumors begin to swirl throughout her kingdom the young queen shifts her focus and realizes that the world she loves could be destroyed in an instant. Forgotten legends have resurfaced, stories that tell of three scepters: the keys to unleashing these foul beings. Across Araenna the hunt rages for this trio of formidable power–to command the keys is to hold the power of mortal gods.